The Master suite is kept neutral, but luxurious with the use of textured fabrics and silk. The furniture is distressed and limed french pieces. 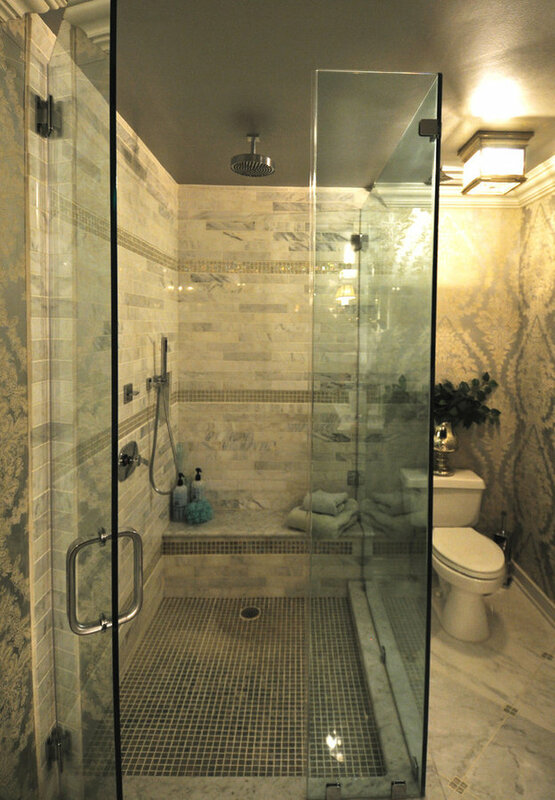 In the master bathroom, we used glass, silver leaf paper and custom cabinetry to create luxury. The above counter glass sink bowls with faucets projecting from the mirror behind add a hint of modernity! 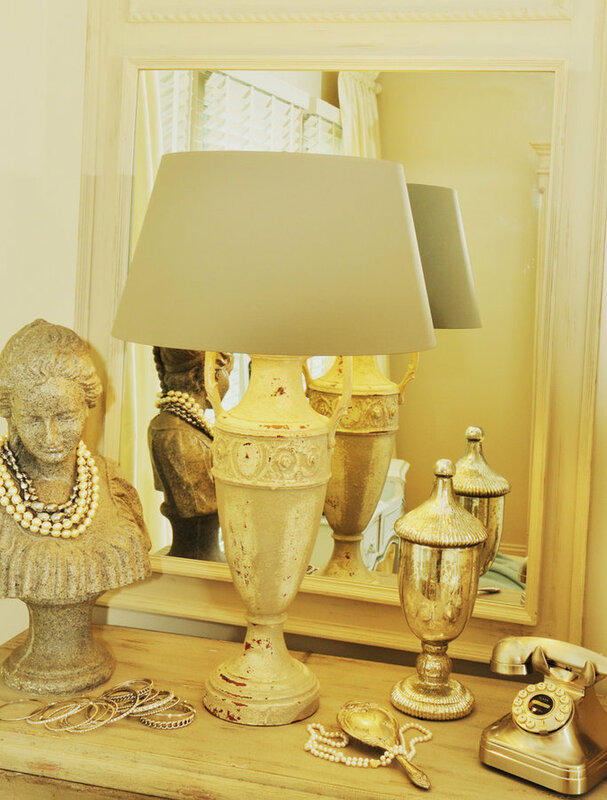 The right accesories make the room! 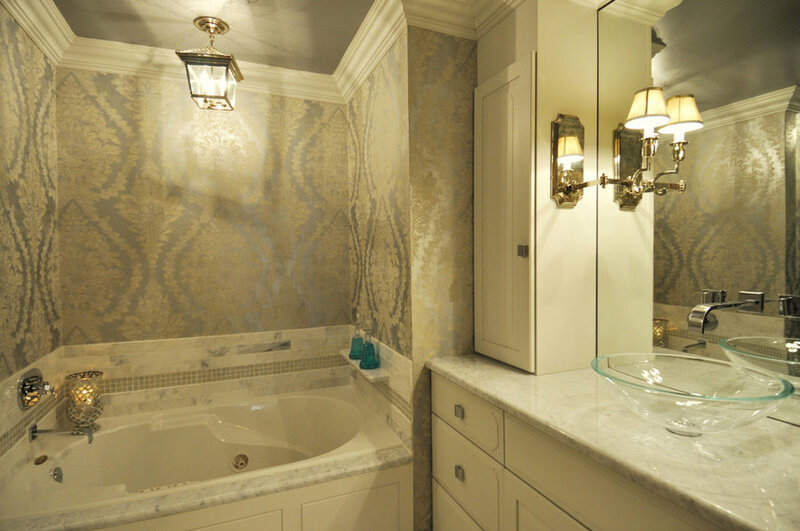 In the master bathroom, we used glass, silver leaf paper and custom cabinetry to create luxury. The above counter glass sink bowls with faucets projecting from the mirror behind add a hint of modernity! Enjoy!